Yesterday, Jamie and I ventured up into the Adelaide Hills for a lovely drive, some sightseeing and then an afternoon of stamping. And yes, Jamie did some stamping, too! The afternoon was a new Catalogue Launch party run by my lovely new friend Carolyn Bennie. Carolyn is a very talented stamper, and you may just be seeing her name here a bit more often (watch this space….) 🙂 If you go and check out her website, you will see a photo of me enjoying a cup of tea and some scones. Here are the two cards we made, plus I was super excited because I finally got my own hard copy of the new catalogue. Both of these cards were designed by Carolyn. Aren’t they just gorgeous? 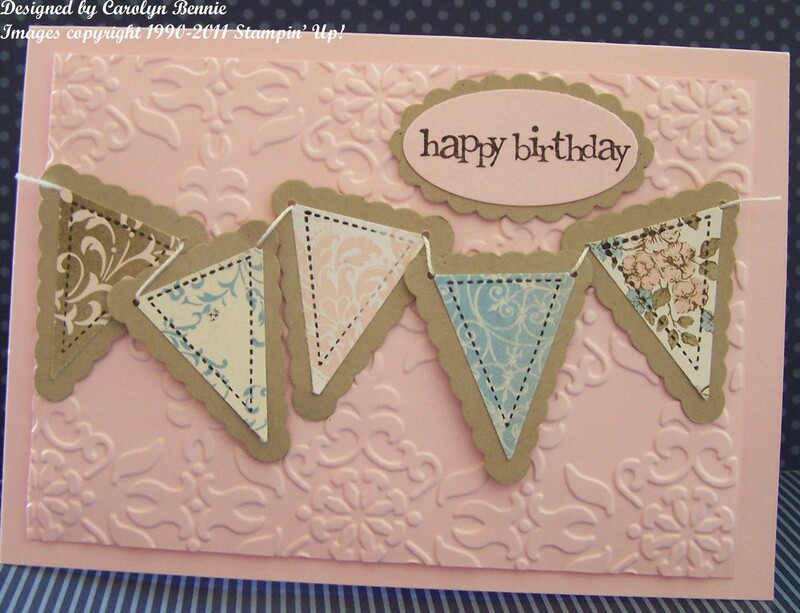 This first card uses the very pretty new DSP Beau Chateau, and of course the Vintage Wallpaper Embossing Folder, and the new Petite Pennants Builder punch. 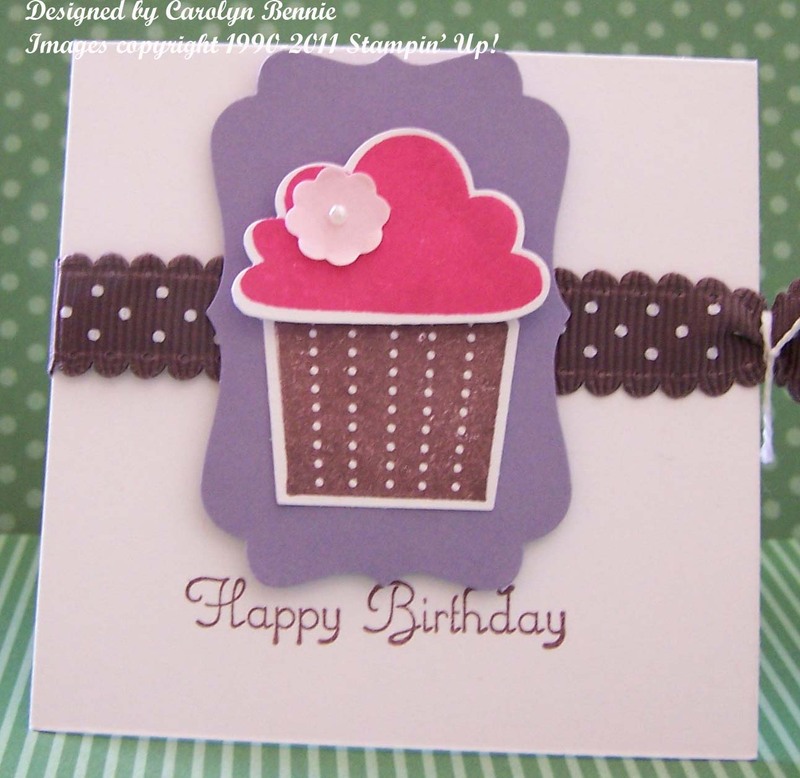 And the second is cute gift tag which uses the Cupcake Builder Punch, the Decorative Label punch, the yummy new Scallop Dots Ribbon, and Create a Cupcake Stamp Set. So, thanks Carolyn, for a lovely afternoon.